Earlier this week Microsoft unveiled their new next generation Microsoft Surface 2 tablet range which consists of a standard and professional version that runs Windows 8.1 Pro operating system. To re-cap the Microsoft Surface Pro 2 is fitted with a Core i5 Haswell processor clocked at 1.6GHz with a choice between 4GB or 8GB of RAM. The standard Microsoft Surface 2 tablet features a 10.6-inch ClearType full HD display sporting a resolution of 1920 x 1080 with a Tegra 4 SoC clocked at 1.7GHz supported by 4GB of RAM running Windows RT 8.1. 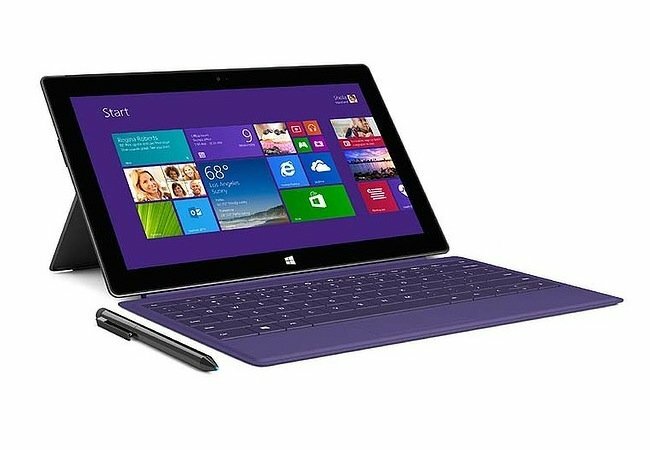 The standard Microsoft Surface 2 is now available to pre-orders for $449 for the 32GB while the 64GB version comes with a $499 price tag. Also check out these three new adverts comparing the Microsoft Surface 2 vs iPad Air tablet to see the comparison from a Microsoft perspective.